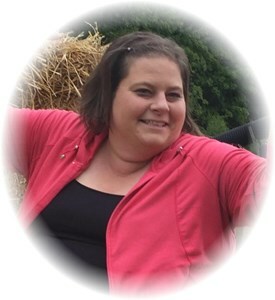 Karen LeeAnn Dodson, 41, of Indianapolis passed away on Sunday, February 3, 2019. Karen was born on August 14, 1977 in Indianapolis to Ronald & Teresa Bryant. Karen is survived by her husband: Darius Dodson; sons: Darius K. Bryant, Demetrick A. Bryant; daughter: Kamiel L. Andrews; dad: Ronald Bryant; siblings: Cynthia Acuna, Delaina Murray, Ronald “Poohie” Bryant II, Ryan Bryant and a host of other family and friends. Visitation will be on Wednesday, February 13, 2019 at Newcomer - Indianapolis Chapel, 925 E. Hanna Ave., IN 46227 from 4 P.M. until 8 P.M. Her Funeral Service will be Thursday, February 14, 2019 at 10 A.M. with interment to follow at New Crown Cemetery. Add your memories to the guest book of Karen Dodson. I would like to express my sincere condolences for your family’s loss. May you receive great peace of mind and comfort from the words found at Psalm 34:18 which reminds us we are never alone. For God “is close to the brokenhearted; He saves those who are crushed in spirit”. Where do I begin, we have tons of memories from the last 41 years of life my life long friend. I am sad you are no longer here and gone way too soon. You will be missed. Sending love, hugs and prayers to your family.